GeoRabble Brisbane is honoured to welcome Bill Kitson to our spatial gathering! 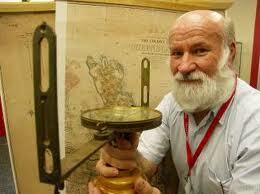 Bill Kitson is one of Queensland’s best known surveyors and a highly respected spatial historian. Following a 1974 Survey Office investigation of the surviving markers along the Queensland State borders, Bill became ‘hooked on history’ researching the lives and work of the men that mapped Queensland. This interest in heritage became his vocation in 1980 when he was appointed as curator of the then newly established Lands, Mapping and Surveying Museum. Even in retirement Bill continues to be a prolific and highly effective communicator. His passion for preserving surveying heritage and his generosity in sharing his unsurpassed knowledge of the spatial industry have become legendary. His talk will be titled ‘Surveying Heritage, Our Glorious Past’.